Manufacturers, shipping companies, wholesalers, retail operations, packagers and other supply chain stake holders all share responsibility for bringing goods to market. From conception of product designs to shelf-ready execution – and beyond; everyone works together to advance the sale of consumer goods. And though each level of the manufacturing and distribution process operates under unique circumstances, environmental responsibility is also shared among makers and their supply chain partners. Packagers play a high profile role answering the call for sustainability and ecologically responsible practices. After all, boxes, bags, cans, and jars serve as the face of consumer products. End-users, production partners, government agencies, and other environmental advocates are committed to reducing the environmental role of product packages, so successful packaging companies are finding ways to provide protection and shelf-appeal, without wasting earthly resources. There is usually more than one way to solve a packaging challenge, so most jobs including opportunities for source reduction. Proactive packaging partners offer solutions that account for recycling and reduced materials use, without sacrificing marketability and product protection. It is a tall order for progressive packagers, but new technology and innovative thinking help push the envelope for consumer packaged goods. According to some observers, the infrastructure is in place for further source reduction. By streamlining production practices and targeting leaner strategies, green gains are possible, without major overhauls to the supply system. Work smarter, in other words, and better ecological stewardship is the natural outcome. Forward-thinking packaging contractors are on-board, because materials advances, equipment technology, transportation efficiency, and other positive trends are at their disposal, fueling creative turnkey packaging solutions matched to the needs of modern producers. Reduce Materials Used in Manufacture and Packaging – Though there are several ways to make an impact, making more from less is a bonafide approach to conservation and source reduction. Fundamental to the cause, reducing fiberboard, plastic materials, and superfluous packaging features are effective moves, limiting net materials consumption. In many cases, gains are realized through package redesigns and increased materials efficiency, but some reductions are the direct result of new technology. Flexible packaging, for example, weighs less than its rigid counterparts, so it costs less to transport and produces lower overall volume when compared to similar alternatives. Repurpose and Prolong Life of Goods – Anything that flows quickly through the consumer cycle is probably not maximizing its useful life. Manufacturing serviceable goods, with longer functional lifespans, for example, reduces waste by stretching the value of each item. Packagers make a difference using similar strategies, designing durable containers suited of multiple uses. And by linking brand presence to a particular example of reusable, green packaging, producers actually use sustainable concepts to their advantage, standing out for their functional package designs. Limit Use of Damaging Substances – In addition to measuring the quantity of material used to manufacture and bring goods to market, responsible practices also include a close look at the type of substances used to get the job done. Reducing toxicity throughout the supply chain is the endgame for stakeholders committed to source reduction, especially within the food industry, where packaging materials also impact shelf-life and healthy consumption. In spite of efforts to use less and favor materials with low environmental impact, it is impossible to do away with packaging waste altogether. In addition to calculated source reduction, however, waste control is another essential directive for making green gains. Waste audits illuminate the flow of goods through production and packaging facilities, so companies can clearly track what’s being consumed and where waste occurs. For the best results, audits look at prevailing practices, room for improvement, potential cost savings, and the best approaches for maximizing the impact of waste reduction strategies. Audits commonly uncover waste immediately, due to purchasing decisions and inefficient processes. The key to lasting gains is implementing accountability within each facility and monitoring the performance of waste reduction measures. Cost Savings – Profitability is the bottom line for producers, so green methods that save money are ideal. Savings manifest in several ways, creating cost benefits at each level of the supply chain. Using fewer materials, for example, results in lower spending on package components. And since less typically means lighter, freight costs are also reduced by downsizing package weight. Further down the line, as consumers dispose of packaging materials, more money is saved. Image and Branding – Sustainability and environmental consciousness are important to consumers, so producers and packagers benefit from a green image. By aligning with customer values, suppliers gain loyal followers, who share their ecological vision. In fact, green producers are not afraid to advertise environmental allegiance, using product packaging to highlight green features and spell out sustainable practices used to bring goods to store shelves. Accountability – Shining a spotlight on internal processes leads to unanticipated revelations for some companies. As source reduction and waste control become part of production best-practices, it serves as a wake-up call, creating accountability at every level of the consumer cycle. A comprehensive plan, for instance, helps employees understand how an organization’s environmental commitment influences each job role. 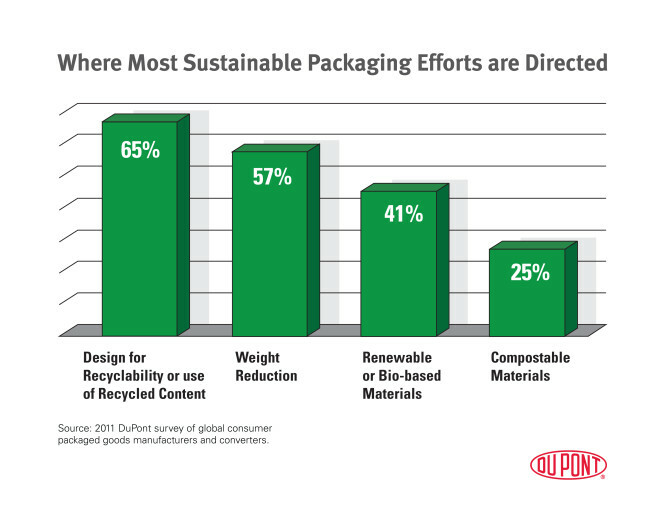 Packaging companies are central in the move toward further source reduction and waste control. Adding to significant gains made in recent years, progressive packagers are poised to continue shaving costs and advancing sustainability. Using proven practices, like materials reduction and logistical efficiency, the best packaging partners reflect consumer’s green values, by sharing producers’ commitment to responsible environmental practices.